So yesterday morning I stopped midrun to stretch my legs. I don’t often stop to stretch but I find it helpful sometimes to stretch my hamstrings and quads a bit after the first mile and then continue on my way. Next time I need to stop midrun, I am going to try to not look down. Uh huh. 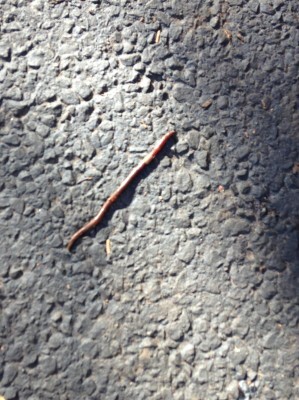 I am glad I didn’t step on him. Ick. 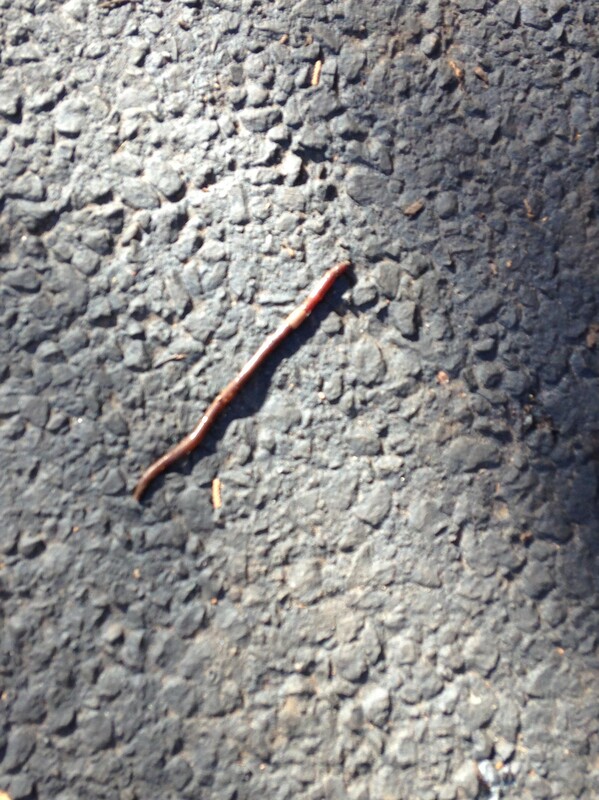 Serves me right for encountering a worm. I shouldn’t have been outside in the first place. Remember I said I was going to run inside on the treadmill come rain or shine at least once a week? Yeah, that little plan has yet to happen. I couldn’t help it. It was just too nice outside yesterday and with winter on the way, I just couldn’t pass up an outdoor morning run. You know what else I couldn’t pass up? Yes, those are number 9 donuts custom-made from Dunkin Donuts. Or, if you are a Wayne Gretzky fan, you can read the two 9’s as number 99 instead. 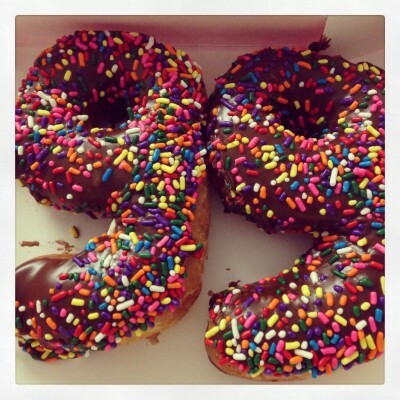 I didn’t even know that Dunkin allowed you to custom-order number donuts. And I consider myself a dessert queen? Hmm. My close friend/close neighbor, you know, the selfless one who shares her Edible Arrangements, shared with me once again by giving me not one, but TWO of these donuts since she ordered them for her daughter’s birthday. Happy Birthday Mia! And I, who really never shares, decided to share with her some KIND bars from the big package I received on my doorstep the other day. I am still working my way through all of the bars (and granola!) but if you are looking to try a KIND bar today, I will always recommend the Dark Chocolate Cherry Cashew. Anyway, back to donuts. 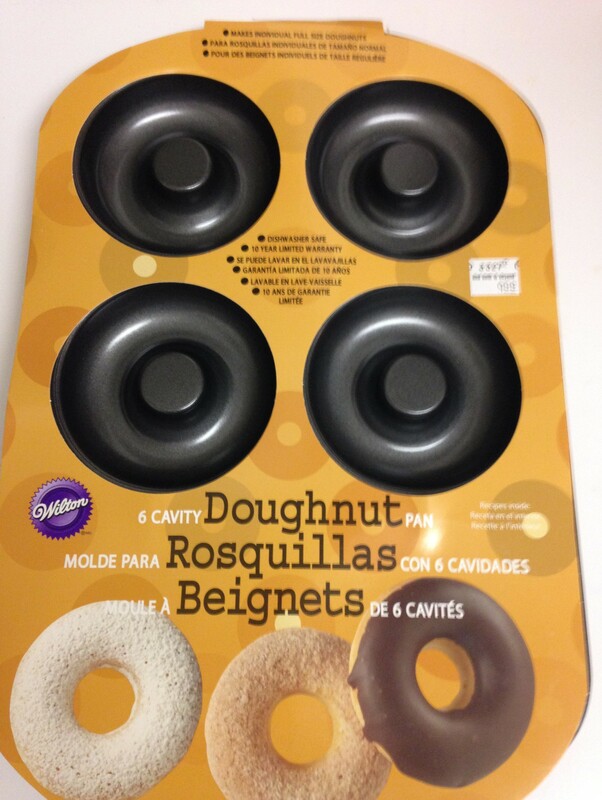 I have been thinking about making my own donuts after seeing throughout the blog world and various recipe websites that it can certainly be done at home with the help of a donut pan. 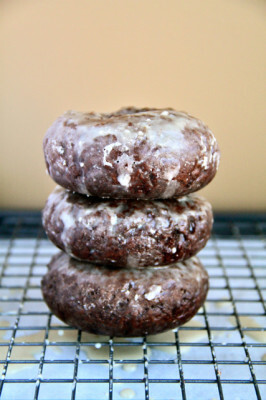 The other day Amanda over at Running With Spoons posted what looks to be a delish (and relatively healthy) chocolate donut recipe and right then and there I decided it was time to purchase a donut pan. How amazing do Amanda’s donuts look? See. Now you don’t blame me for running out to buy the pan. I love a homemade dessert. But, I also know that there are times we must rely on store-bought snacks and treats because we don’t always have the time or the patience for baking. Look what I spotted at Target yesterday- the Market Pantry version of those pricey Vitalicious Muffin Tops with basically identical nutrition content for a lot less money. They come in blueberry too. I didn’t buy them because I really have no room in my freezer but if you are looking for a 100 calorie treat and don’t have the time to make something yourself, for a packaged snack I can’t see why you shouldn’t try these out. 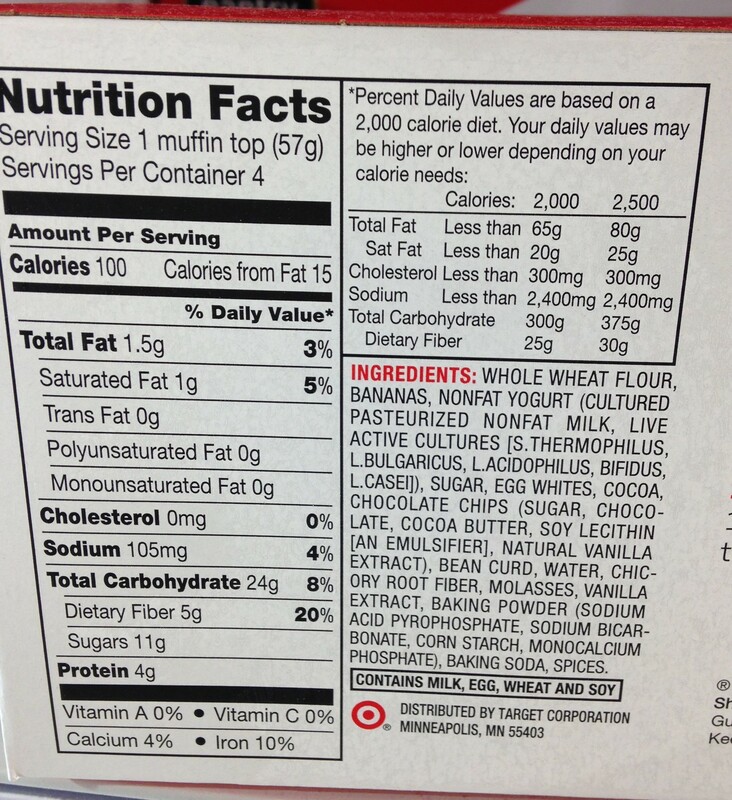 Of course I prefer a shorter ingredient list but this one really isn’t so terrible for a packaged 100 calorie snack. 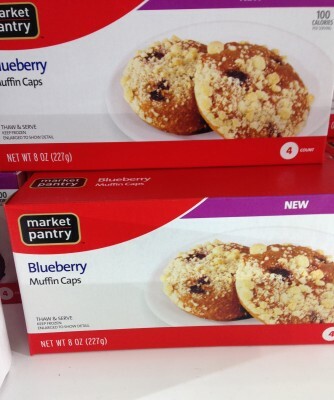 If you are looking to get busy in the kitchen, besides making your own donuts, you CAN make your own muffin tops. Click on the picture or the link above to test out Chocolate Covered Katie’s version of Vitamuffins- her recipes are always fab and low-calorie. 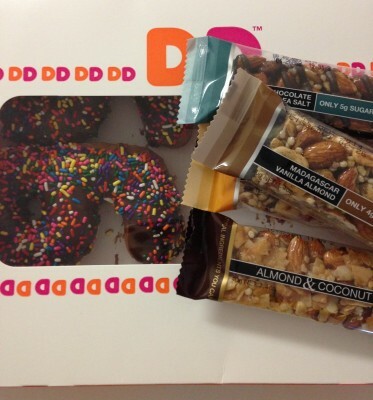 My plan is to try making both Amanda’s donuts and Katie’s muffin tops in the next few days. Hopefully I follow through on this plan unlike my plan to run on the treadmill. Have you ever made your own donuts? 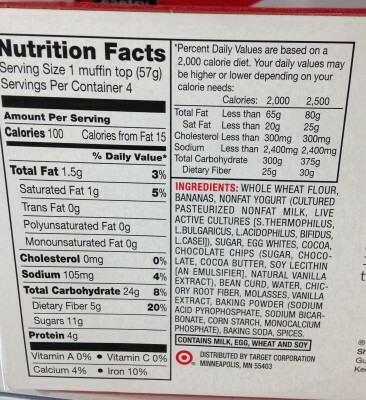 Do you buy Vitalicious muffin tops? Ever try the Target version? My First What I Ate Wednesday! I’ve never made donuts before and don’t have a donut pan but I was drooling over Amanda’s recipe too it looked super yummy!! 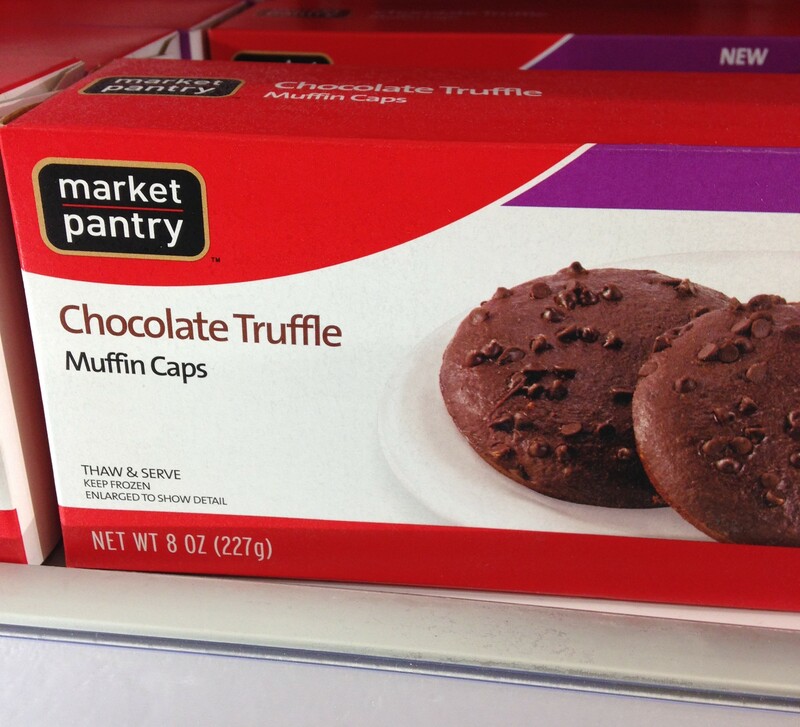 We don’t have those muffin tops here but they sound good. We also don’t have Kind bars here but what a haul of them you got and how nice of you to share them with your neighbour especially after she shared that amazing donut! I know right, Amanda’s goodies always look so delicious! 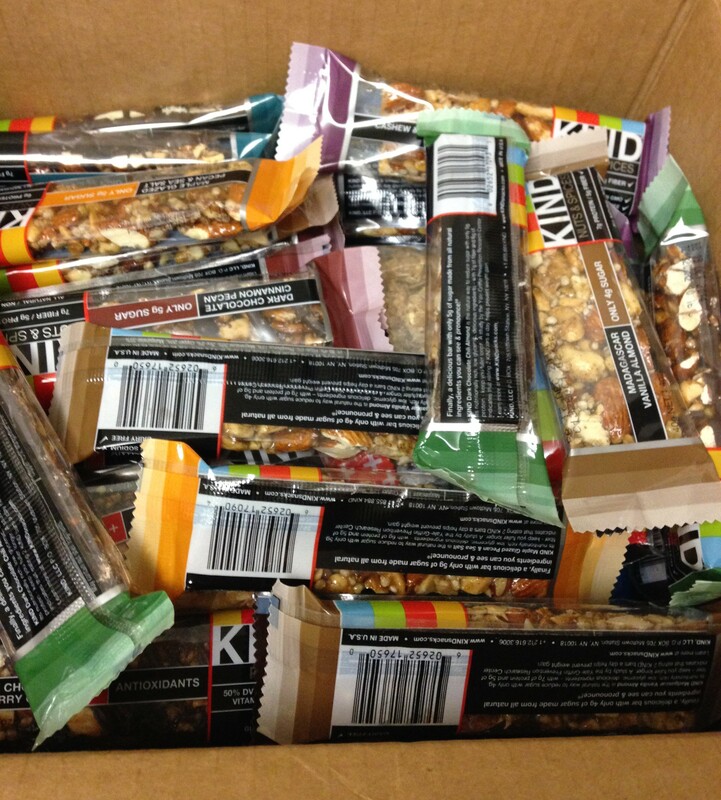 Holy box of kind bars! Lucky duck. I also saw Amanda/s recipes and I think I need a donut pan! I wouldn’t apologize for running outside! It’s the best! I wish I could most often. I hate running inside but sometimes we have to I guess. 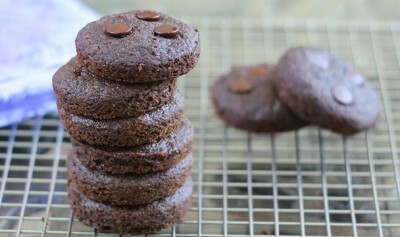 I bet you can make them Paleo – I feel like all recipes can be played with and adjusted. I’m pretty sure my donut pan is going to be responsible for the disappearance of muffins and cakes around these parts — there’s just something about the shape of donuts that makes eating them that much funner; never mind the fact that you can glaze and frost them in some pretty amazing ways. I kind of want to try experimenting with something like apple cider donuts, so I’m excited to see what kind you bake up! I first plan to make your recipe, actually I think I will test it out in a few minutes…and you can be sure if I experiment on my own the recipe I come up with will involve peanut butter.